Remember these newbies? 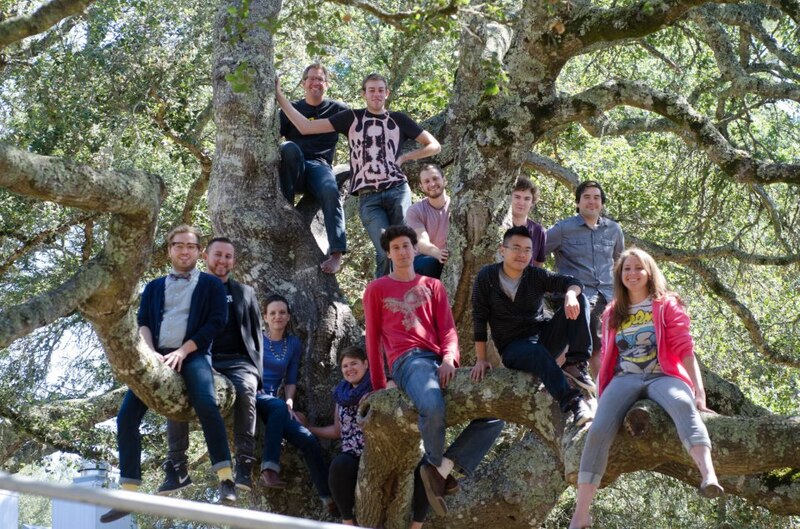 Back in fall of 2012, they climbed a tree during DANM Orientation, and now they are coming down as DANM graduates. Today is the day they walk in cap and gown down the aisle out in the West Field, together with other UCSC graduate students. The sun is shining, a breeze is blowing, and the bay is blue. Afterward DANM will host its own graduation celebration for grads, friends, and family on the third floor balcony and in the LightLab. What a great way to end a creative and productive year!